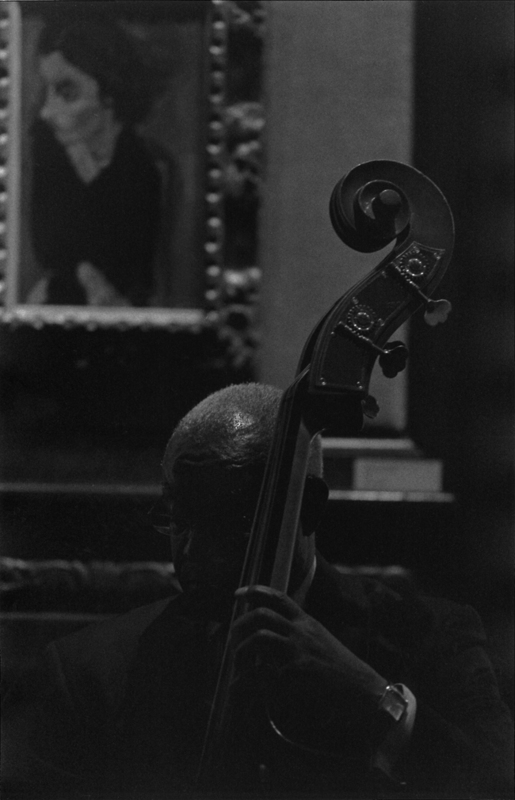 Museum assistant Roberto Alcaraz recently printed this lovely, low-light shot (on film, no less) of a bassist playing in the Music Room under the critical eye of Chaim Soutine’s Woman in Profile (c. 1937). 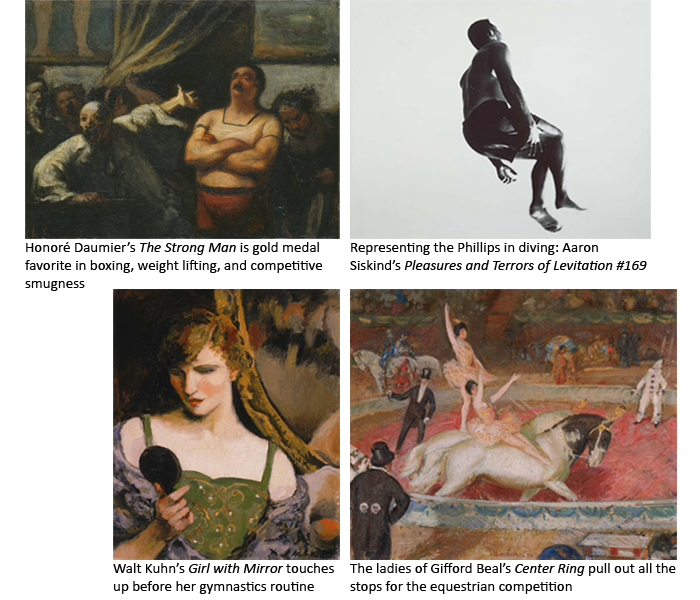 Inspired by #MuseumOlympics taking over our Twitter feed, we took a look at our permanent collection to see which works the Phillips could contribute. It came down to three categories: the athletes, the judges, and the audience. Images clockwise from top left: Honoré Daumier, The Uprising (L’Emeute), 1848 or later. Oil on canvas, 34 1/2 x 44 1/2 in. Acquired 1925. The Phillips Collection, Washington, D.C.; Aaron Siskind, Pleasures and Terrors of Levitation #169, 1954. Gelatin silver print, 11 x 14 in. Gift of Fern M. Schad. The Phillips Collection, Washington, D.C.; Gifford Beal, Center Ring, 1922, Oil on canvas, 22 x 26 1/8 in. Acquired 1922. The Phillips Collection, Washington, D.C.; Walt Kuhn, Girl with Mirror, 1928. Oil on canvas, 24 x 20 1/8 in. Acquired 1929. The Phillips Collection, Washington, D.C. Images left to right: Chaim Soutine, Woman in Profile, c. 1937. Oil on canvas, 18 13/8 x 10 7/8 in. Acquired 1943. 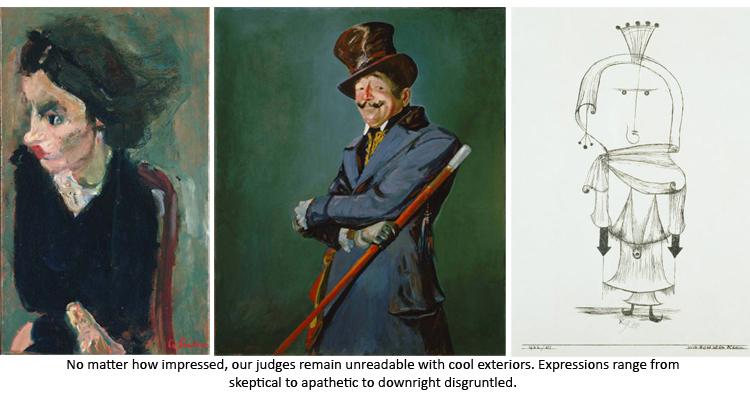 The Phillips Collection, Washington, D.C.; George Luks, Otis Skinner as Col. Philippe Bridau, 1919. Oil on canvas, 52 x 44 in. Acquired 1919. The Phillips Collection, Washington, D.C.; Paul Klee, The Witch with the Comb, 1922. Lithograph, 14 1/2 x 10 1/2 in. Gift of B. J. and Carol Cutler, 2006. The Phillips Collection, Washington, D.C. 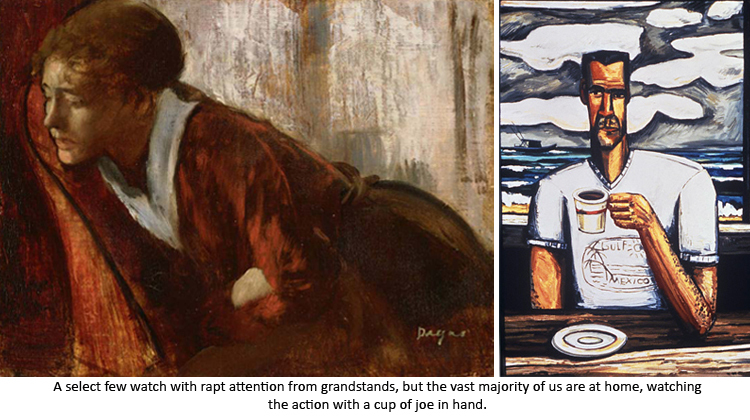 Images left to right: Hilaire-Germain-Edgar Degas, Melancholy, late 1860’s. Oil on canvas, 7 1/2 x 9 3/4 in. Acquired 1941. The Phillips Collection, Washington, D.C.; David Bates, The Gulf of Mexico, 1990. Oil on canvas, 72 x 52 in. Partial and Promised Gift of Patti and Jerry Sowalsky, 2006. The Phillips Collection, Washington, D.C.
Did we miss anything? Tell us what works you would submit!